The Jesus Prayer is based on the power of the name of the Lord. In this exceptional translation of Bishop Brianchaninov's essay on the Jesus Prayer, we are introduced to a spiritual exercise known as Hesychasm. Hesychasm gives expression to the method of enlightenment that has been in use in Christian monasteries in the East almost from Apostolic times. The practice of Hesychasm falls into three parts: the prayer is repeated aloud to condition the body; then it is prayed silently in order to condition the mind. Finally, when complete concentration has been attained, the prayer is carried down into the heart using the rhythm of the heart beat. 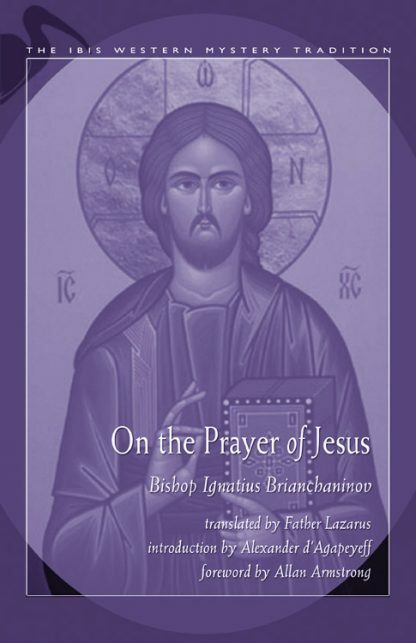 Bishop Brianchaninov not only explains how the prayer works and how to prepare for the practice but puts forth several teachings from Greek and Russian mystics on the Jesus Prayer. Among these are St. Barsanouphius, Dorotheus the Russian, and St. Seraphim; St John of the Ladder; St. Nile Sorsky, St. Gregory the Sinaite; St. Nicephorus of Mouth Athos; and St. Kallistus and Ignatius Xanthopoulos. Brianchaninov also discusses the pitfalls that can be encountered along the way and how to avoid them, as well as "material aids," such as the rosary and posture, for the practice. Ignatius Brianchaninov was an early 19th-century bishop of the Russian Orthodox Church. He wrote several essays on asceticism.